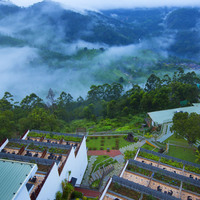 Munnar is not only renowned for its misty tea gardens and enchanting hill views, but also magnificent and luxury 5-star hotels that make your stay a memorable experience. This beautiful holiday destination was once a summer resort of the British and is known for its flattering scenery and breathtaking surroundings. It still has that old-world charm which gives it a unique atmosphere. 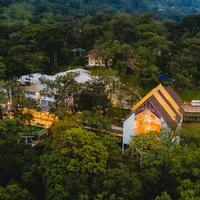 Experiencing such beauty along with an extravagant stay at a 5-star hotel in Munnar featuring exquisite hospitality and state-of-the-art amenities will be an experience of a lifetime. We have many budget and star rating accommodation options on our website and can help you plan a perfect trip. The beautiful mountains, the striking lake views and enchanting wildlife; Munnar gives you several reasons to explore the impeccable beauty of this place. 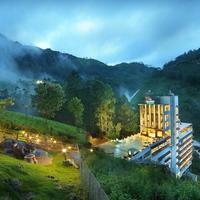 There is much to do in Munnar apart from enjoying these pleasant sights. One can go on cycling tours and explore the tea plantations or do boat rides. 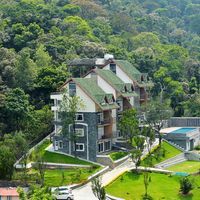 Make your holidaying in Munnar an exemplary experience by staying at the lavish properties which are specifically meant to add grandeur to your visit. 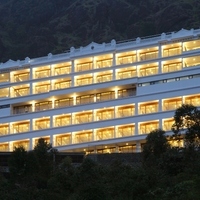 Well-known 5-star Munnar hotels are plush properties offering world-class amenities to its guests and are generally located at the prime locations of the city. These aesthetically designed luxury hotels offer distinguished services to their guests with the highest level of personalisation. They offer recreational facilities like 24-hour fitness centre, spa, massage centre, swimming pools (most of them have kids pool as well), a bar and in-house multi-cuisine restaurants. These are proficient in delivering the finest dining experience to the guests. These high-end star hotels offer abundant amenities and known for their exemplary hospitality. If your budget allows then nothing could be better than booking a lavish accommodation that can give you world-class amenities along with spacious rooms with aesthetic interiors, en-suite bathrooms, complimentary toiletries and well-appointed balconies. Guests have an opportunity to tantalise their taste-buds with the wide-spread culinary fare in the multi-cuisine in-house restaurants. Deluxe, Executive and Presidential Suite are the prime categories of the rooms available in 5-star hotels. The pricing and the amenities vary according to the room you choose. Standard features like a king-sized bed, quality linen, work desk, hot & cold shower, and coffee maker are available in all rooms. Executive rooms are more spacious than deluxe ones while presidential suite offers the ultimate experience in luxury with big living rooms, maybe even a private pool and a jacuzzi. 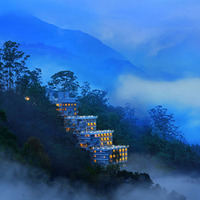 Munnar is very popular amongst tourists and witnesses huge tourist rush during the year. Therefore, it is imperative to book your accommodation in advance to make your vacation a convenient and comfortable experience. 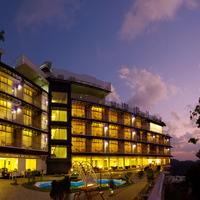 You can log on to Cleartrip.com to book a suitable 5-star hotel for you as per your requirements. 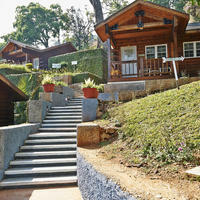 Chandys Windy Woods and Fragrant Nature Munnar are two of the many popular 5-star hotels listed on Cleartrip. To get the best-priced deals, it is best to book at least a week before the date of travel. The exciting discounts and irresistible booking deals will add more excitement to your journey. Pallivasal, Pothamendu, Chinnakanal, Chitthirapuram are Manukulam are some of the popular areas to stay in Munnar. While booking a hotel on Cleartrip, you can select the area you want to stay in, and you will get only those options that are suitable for you. It is recommended to book your stay in advance to avoid any last-minute rush and price increase. We also offer good deals on flight bookings to ensure that you get the best vacation for the lowest price.